UFC heads to Nashville for a loaded card that will see several contenders in action. In the main event, former title challenger Stephen Thompson looks to get back into the title chase Kamaru Usman now rules the welterweight division. Thompson will take on Anthony Pettis in the main event, who is moving up in weight as hopes to get his first win since July 2018. Pettis will look to get into a win streak for the first time since he had a five-fight win streak from 2011 to 2014 when he was the UFC lightweight champion. 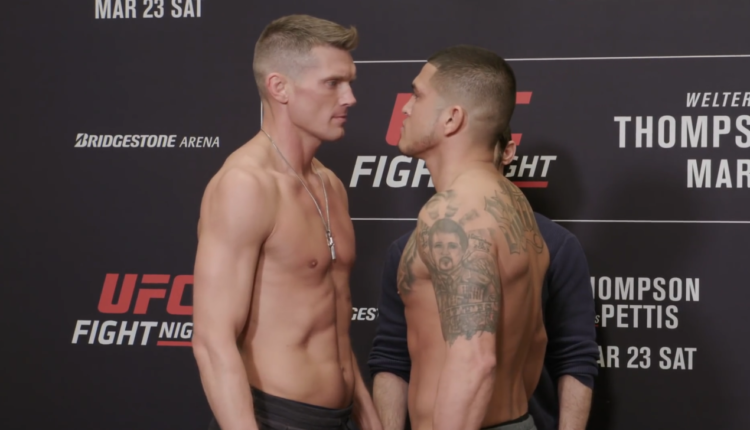 Join FIGHT SPORTS as we bring you live results of UFC Nashville with Thompson and Pettis facing off in the main event.